Biologists now count invasive species as a major threat to biological diversity second only to direct habitat loss and fragmentation. Why do they worry when new species enter an ecosystem? More than 90 percent of introduced plants in California have overcome barriers to survival and reproduction in their new home without harming native species. But a fraction display invasive traits, displacing native species and reshaping the ecological landscape. Tasmanian blue gum eucalyptus (Eucalyptus globulus), a symbol of California for some, never knew California soil until the 1850s, when seeds from Australia were planted, first as ornamentals, then mostly for timber and fuel. The California Invasive Plant Council (CAL-IPC) classifies blue gum eucalyptus as a “moderate” invasive because the trees need certain conditions to thrive. For the most part, they’re not a problem in the drier regions of Southern California or the Central Valley. But along the coast, where summer fog brings buckets of moisture, it’s a different story. 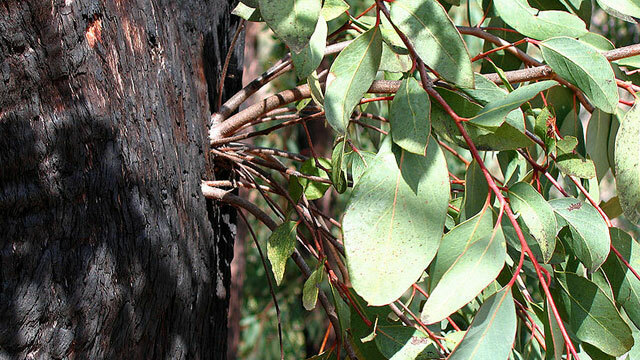 Blue gum invades neighboring plant communities if adequate moisture is available for propagation, state resource ecologist David Boyd noted in a report for CAL-IPC. Once established, the trees can alter local soil moisture, light availability, fire patterns, nitrogen mineralization rates and soil chemistry. That’s why many ecologists welcome a plan to remove tens of thousands of eucalyptus and other non-native trees from the East Bay Hills to reduce fire risk. UC Berkeley, together with the City of Oakland and the East Bay Regional Park District, applied for up to $5.6 million in grants to remove the non-natives—primarily eucalyptus, Monterey pine and acacia—under the Federal Emergency Management Agency’s Pre-Disaster Mitigation and Hazard Mitigation Grant programs. The total project would cover just under 1,000 acres and includes plans to encourage regrowth of native oak and bay trees. Fifteen major fires roared through 9,000 acres of the East Bay Hills between 1923 and 1992, incinerating some 4,000 homes and killing 26 people. The Oakland “Tunnel” fire, considered the worst in California history, caused an estimated $1.5 billion in damage, destroyed more than 3,000 homes and killed 25 people. Following the Oakland fire, disaster experts urged large landowners in the East Bay Hills to work together to manage vegetation to prevent another catastrophic wildfire, says Tom Klatt, who manages environmental projects for UC Berkeley and serves on the UC Fire Mitigation Committee. Despite the fire risk, the plan remains contentious. Some residents worry about the use of pesticides, some feel eucalyptus’ flammability is overstated and others who consider the trees cultural icons view the plans as an attack on a species that’s been here so long we should consider it native. (For the record, the California Native Plant Society defines “native” as any species that predated European contact.) Predicting how an introduced species will behave is complicated by the fact that ecological effects are difficult to observe—and may only appear when it’s too late to control. More evidence comes from the Central Coast. At a 2004 workshop on the blue gum’s impact on the ecology of coastal ecosystems, researchers reported conflicting effects. Eucalyptus stands can provide habitat for birds near cities and water bodies, and for overwintering monarch butterflies. But the trees change the composition of insect and bird communities as they invade: the loss of native trees that grow along rivers could spell trouble for neotropical migratory songbirds and for species that nest in tree cavities. And when eucalyptus leaves enter streams, aquatic macroinvertebrate communities change, altering the food chain, likely because the chemical content of eucalyptus leaves differs from native foliage. But removal has proven difficult. “After two previous removal efforts in the 1970s and again in the 1980s, the trees have grown back,” Klatt says. Successful eradication requires at least 10 years of maintenance and drizzling about 2 ounces of diluted herbicide directly to the cut stump immediately after felling a tree, he explains. “If you do it within the first three minutes, we see 95 percent to 98 percent success with a single treatment.” But if the trees resprout, more applications will be needed. 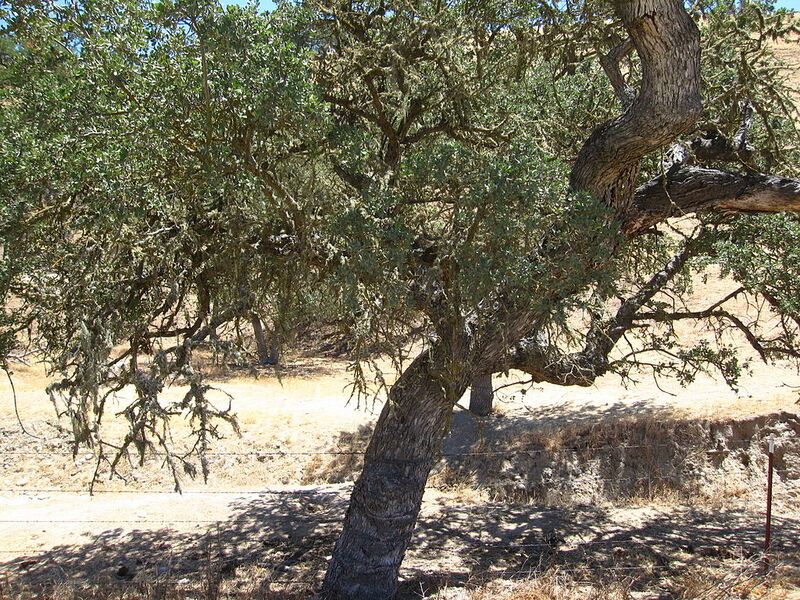 The plan aims to selectively cut eucalyptus while leaving bay, oaks and other native trees in the understory. “The more understory we preserve, the faster it recovers,” says Klatt. The plan also calls for retaining all the cut wood as chips for erosion control and moisture retention, and to encourage native regrowth, aided by birds and squirrels that plant acorns in chip beds. You can still submit written comments to FEMA until midnight, June 17, 2013: via email at EBH-EIS-FEMA-RIX@fema.dhs.gov, via fax at FAX: (510) 627-7147, or via mail to P.O. Box 72379, Oakland, CA 94612-8579. Firestorm: the story of a catastrophic fire that struck the Tasmanian township of Dunalley January 4, 2013.